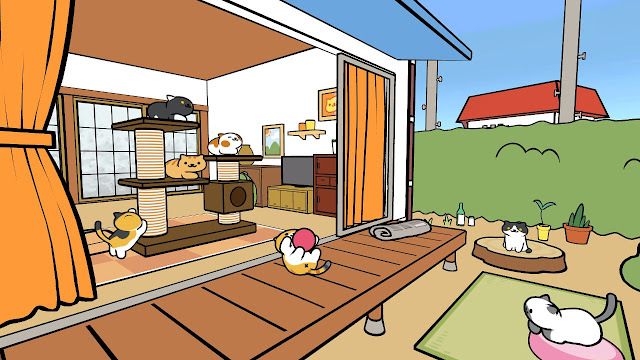 Neko Atsume was a minor revelation over in its homeland in Japan. 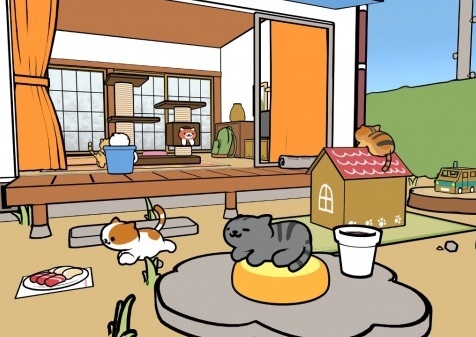 A game that didn't involve anything more than sticking down cat food and toys and then taking photos of cats showing up and doing funny things, it was somehow simultaneously the most dumb, and most perfect mobile game you could imagine. And it was so popular that there's even a Neko Atsume film in Japan. That's right. A movie. Angry Birds, eat your heart out. And now there's a VR edition of the game coming. First announced back in September 2017, we now know it will be available on May 31 - naturally, in Japan only. It'll cost around $20 (so, no, not free like the mobile version is), and while it's very much designed around the PlayStation VR unit, you can play the game without the headset, too. I wouldn't bet on this game getting an English localisation. Then again, Neko Atsume took such a long time to get an English localisation and people got along just fine with the Japanese version. You're not exactly going to need a Masters' degree to figure out how to play this one. So import away and enjoy the virtual kittehs!